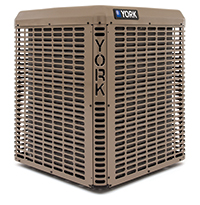 A duct-free system, also known as a “split” air conditioner system, is made up of or includes two units: an indoor unit to deliver conditioned air to the room, and an outdoor unit to remove heat collected from the space. The compact refrigerant lines run between the two units. The system eliminates the need for ductwork. Duct-free systems are not just ideal for older homes that have no ductwork and room additions, but also in rooms that just never seem to be the right temperature and are never comfortable. Get your Solon, Cedar Rapids, Iowa City, North Liberty, or Coralville home as comfortable as you like it with a mini split installed by E&J Geothermal!